PBS’s “NewsHour” is planning a complete overhaul of its set, graphics and music. 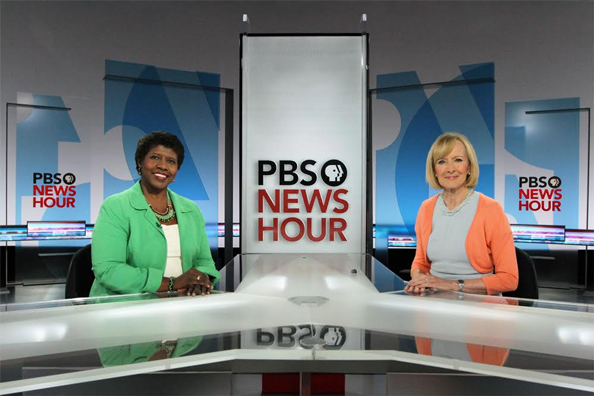 The new set, shown in an image provided to NewscastStudio, shows anchors Gwen Ifill and Judy Woodruff seated on the new set created by designer Eric Siegel and George Allison. 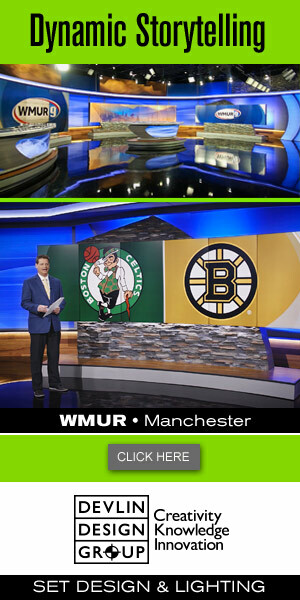 The set is located in a different studio at Washington PBS affiliate WETA-TV, and will feature more technology. In addition to the new set, the show will debut new graphics from Troika and a new music package with over 180 cuts composed by Edd Kalehoff. The changes debut Monday, July 20.